Spiritual discernment is a skill that, at its most basic level, involves being able to tell right from wrong. At a more advanced level, it's about discerning whether engaging with a certain person, object, place or event is going to bring you closer to God or take you further away. Here are some pointers on how to use spiritual discernment as part of your spiritual journey. As humans, many of us are used to "following our gut" when it comes to making spur of the moment decisions about whether something is "good" or "bad". The problem with trusting your gut instinct is that this gut is ruled by your emotions, or in spiritual terms, your emotional body. Because I don't particularly like the word "gut" (does anybody? ), from here on I'm going to use the term "solar plexus", because in fact it is the solar plexus chakra (energy center) that rules this area of your body in the etheric (spiritual) dimension. So your solar plexus holds your emotions. Of course, emotions are key in letting us know how we feel about something. But the issue is that how we feel about something can actually be a bit misleading. Our feelings are colored by the experiences that we have had and the filters that we have created in our minds because of those experiences. Our emotional reactions, therefore, are usually highly subjective and not necessarily a good indicator of whether a particular person, place or event is going to benefit us and our spiritual progress. When you find yourself needing to know if something is beneficial or harmful for you, worth putting time and energy into or not, you don't need to ignore your instinctive reactions because you can use them to learn more about yourself and your psychology (and in fact, as you practice spiritual discernment, your reactions will become more and more in line with the reality of the situation anyway). What you need to do instead is to get in tune with your Christ Self - the meditator between God and man, your personal direct link to that vast store of divine intelligence. Start by calling to your Higher Self to establish a protective forcefield around you using this Tube of Light decree (opens in a new window). This makes sure that your connection to God won't suffer from any interference by those forces who would prefer you not to be on a spiritual path. If you haven't got time to give the whole prayer, you can just call to Archangel Michael, the angel of protection, to stand guard with you. As you meditate on your Higher Self (refer to the picture on the right) ask the question that you have on your mind, whatever it is that you need spiritual discernment for, aloud or silently. Of course, it's important to keep yourself open to any answer, not just the one triggered by your emotional reaction to the subject. The answer will most likely come to you in the form of a thought, although everyone has their own unique way of communing with God. How do you know if the answer you have received is really from a divine source as opposed to your own mind? Well, the more you practice, the clearer it will become to you, but here's a few strategies I have used to make things easier. I've found that I get a more definite answer if I'm asking a "yes/no" type of question (although this is by no means the only type of answer you can receive). Because I'm quite a visual person, I try to "see" the answer in my mind's eye as a word being beamed down from my Higher Self, or I hold out my hand and wait to see which word will "drop" into it. If I'm mentally "hearing" an answer instead of seeing one, I can judge the quality of the voice to know whether it is the calm and confident voice of my Christ Self or the rather more frantic/excited/fearful voice of my mind. If I think I'm getting interference and don't have a strong connection to God, I make a quick protection call again - "Archangel Michael, protect the answer!" If I'm still not sure, I simply test the answer by clearing my mind and asking again, sometimes several times. Going through the above short process is what you do in the moments when you need spiritual discernment, but it will have a much stronger effect if you establish a momentum of connection by giving the Tube of Light decree on a daily basis, along with other decrees and/or spiritual meditation. Besides getting into the habit of giving daily devotions, there are other areas of your life that you can optimize to be able to tune in to your Higher Self more quickly and accurately. Keeping a check on your emotions to avoid flying into a rage or wallowing in depression is a really big help. Watching what types of food and drink you are putting into your body can assist you with keeping your emotions on a more even keel - for example, consuming a lot of sugar causes your blood sugar level to rocket up and down which can trigger those "highs" and "lows". Eating red meat (or even any meat) helps you remain grounded, but in excess this can mean that your energy is very dense and it gets harder to raise your consciousness to commune with your Higher Self. Choosing music, TV shows, movies and games can be great practice in spiritual discernment. Notice the energy that they create and try to discern if your choices are bringing you closer to God (do they seem uplifting?) or moving you away from God (are they causing you to indulge in negative emotions or base desires?) These choices will also help or hinder your ability to get in tune with your Higher Self. 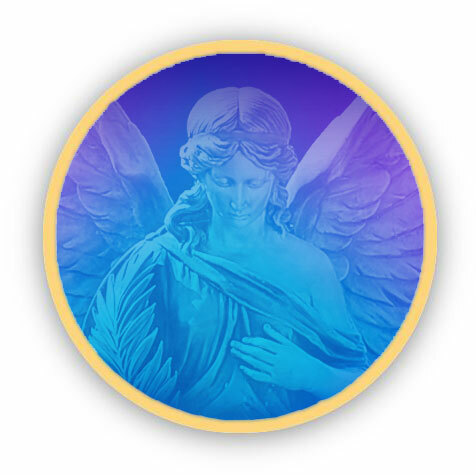 It can take a lot of practice to master spiritual discernment but it is such a helpful tool to have in your spiritual toolbox that I encourage you to make it a high priority and see how it gives you a new perspective in life - a perspective that will move you closer to the ultimate goal, the ascension.